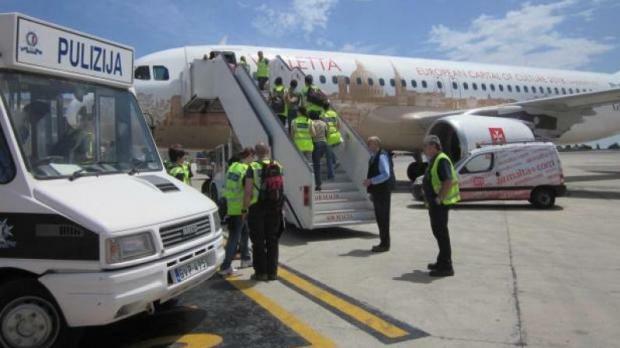 Migrants being repatriated from Malta. The African states will be pushing for more legal migration channels to the EU. But EU negotiators, led by Pierre Vimont, the former head of the EU diplomatic service, are more interested in implementation of existing readmission agreements to help send people back, according to Brussels-based European Voice. “There is no secret that the Africans are looking for opportunity for legal migration, work permits and these kinds of things, while the Europeans are focusing more on returns and readmission”, one EU official told the website. The Valletta priority areas are: development, legal migration and mobility; international protection and asylum; fight against irregular migration, smuggling, and trafficking of human beings; and returns and readmissions. The latest draft text, dated Monday, calls for doubling, by 2017,of the number of scholarships for African students and academic staff under the EU’s Erasmus programme. But it focuses on how to keep people out, European Voice said. It proposes enhancing “operational police cooperation and exchange of information between countries of origin, transit, and destination of migration with immediate effect”. Most of the 28 EU leaders will meet in Valletta, with some 35 African heads of state for a two-day event. On the EU side, all except Poland and Portugal, given their recent elections, have confirmed attendance. On the African side, Sudan’s president Omar al-Bashir, who is facing war crimes charges, is sending his foreign minister. Eritrea’s pariah president, Isaias Afwerki, is doing the same. The African Union delegation, which is also taking part, will be chaired by another bogeyman, Zimbabwean president Robert Mugabe. Prime Minister Joseph Muscat in comments earlier this month said a focus of the summit would be on a mechanism to reward those countries which cooperated int he readmission of migrants.